I was completely surprised last night by this incredible Yin & Yang inspired birthday cake created for myself and my twin brother Luc, to celebrate our 21st birthday. We were beyond overjoyed by the effort that went into this creation and the crazy planning too. The lovely Theresa who set up New York Cake Co bakes these custom cakes to your exact idea. 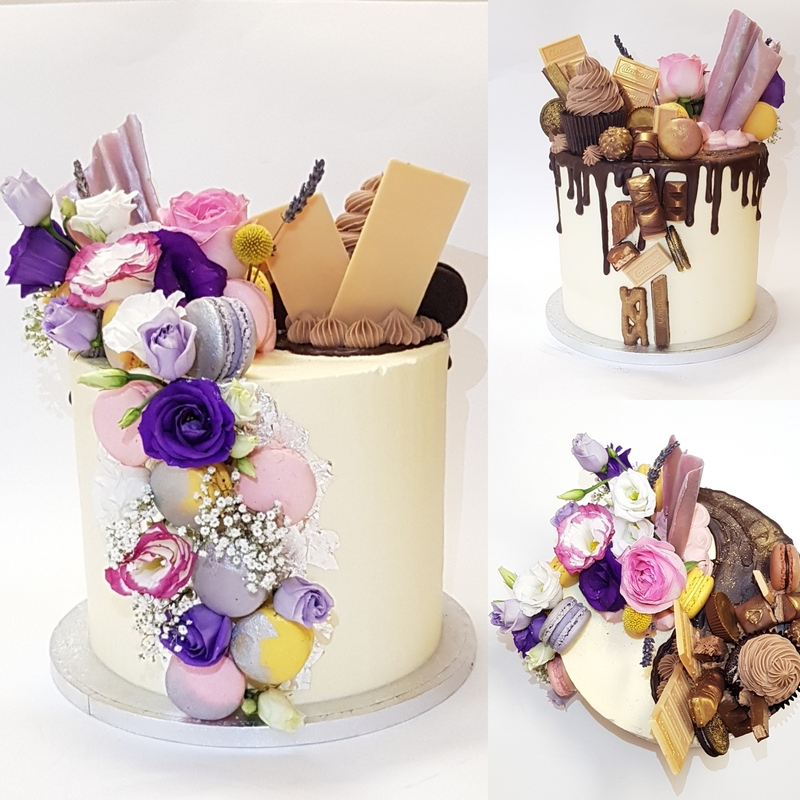 A whopping four layers of lavender-infused vanilla cake with lemon curd and vanilla buttercream were made as part of this enormous 21st birthday cake. Luc's side was fully chocolate infused with a chocolate buttercream and a chocolate drip. 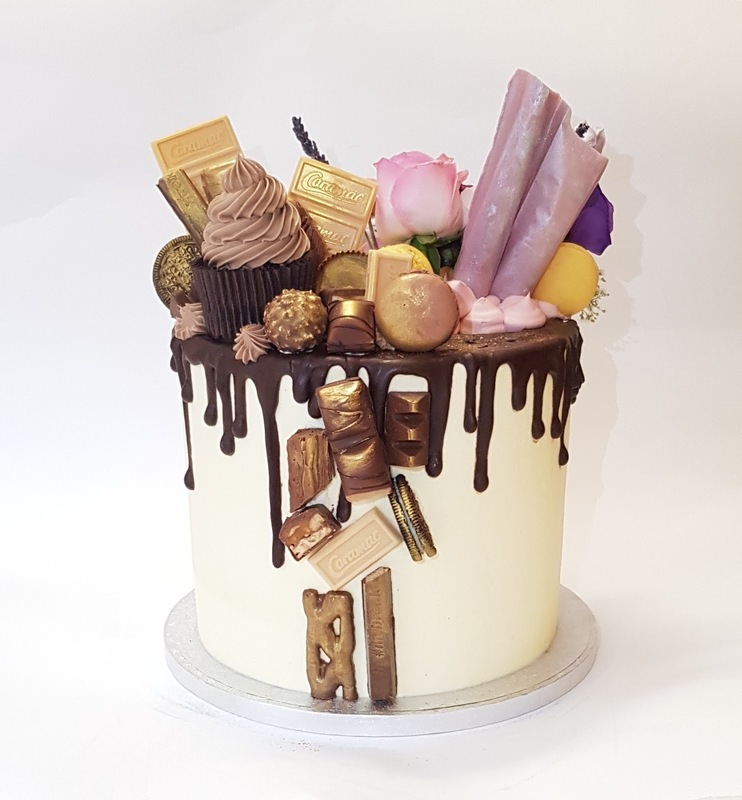 It was then covered with homemade cupcakes, Ferrero Rocher's, Kinder Bueno pieces, Oreos, slabs of Caramac and chocolate piping. My side reflected my love for flowers and included a pink chocolate ribbon, fresh flowers and homemade macaroons. It was made even more glamorous with silver foiling, which glittered and contrasted with Luc's side which was covered in gold. The cake reflected both of our personalities and that despite being twins, we are very different. What a great time I had creating this whopping 4-layer 21st birthday cake for my friend and her twin. Their mom had the brilliant idea of suggesting a yin yang design saying "because that's how they were in the womb!" @alicelucybradley loves macarons so that inspired her side of the cake. His side was all chcoolate dusted with gold. As we planned the cake I saw pictures of her by lavendar fields while vacationing in the south France so that inspired infusing the cake with lavender. Between the lavendar cake layers was lemon curd. I absolutely loved this cake and it was a real treat. The cake was perfectly moist and people kept tucking in for more slices. I can't thank Theresa enough for her time on this bake. I know it was made with so much love. 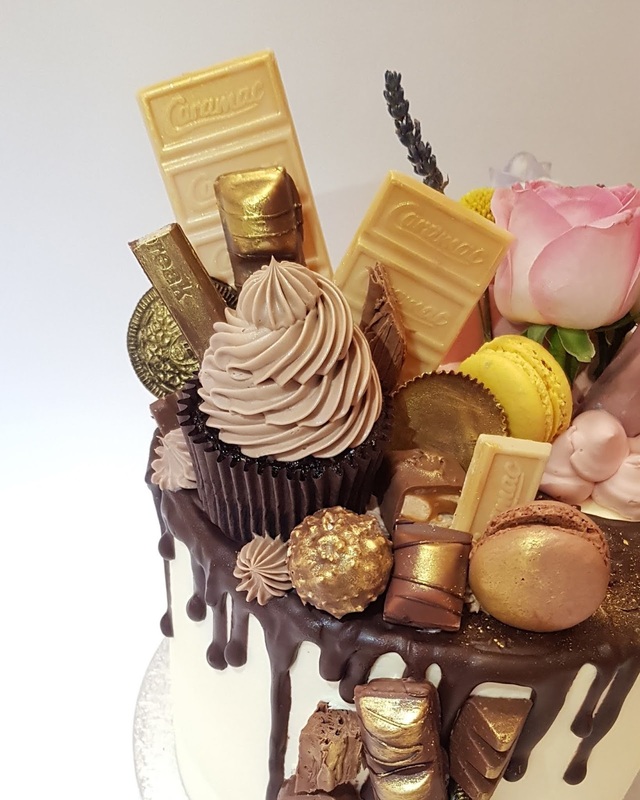 If you are looking for a special cake, cupcakes or something else indulgent, New York Cake Co is the place to get order your bespoke design.